The fight for equal representation of men and women exists everywhere. But in some places, progress can be slow. For example: Until recently, no public statues of women existed in the Bulgarian capital, Sofia. That is, until an artist created a citywide pop-up to assert women’s important roles throughout history, according to Teen Vogue. Called “Monumental Women,” the project facilitated the installation of brightly colored statues of female figures throughout the city. 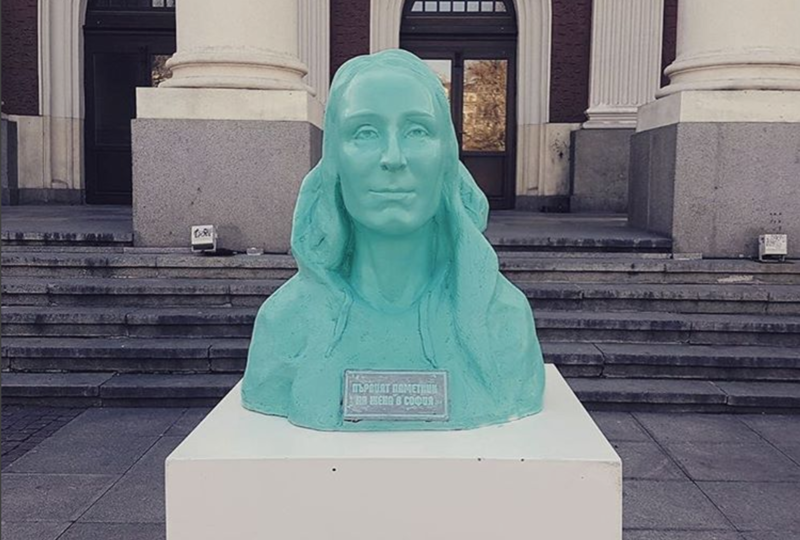 These highly visible busts highlight the underrepresentation of women in Sofia. Their rainbow-bright hues contrast the city’s many monuments of male historical figures. The creative mastermind behind the project is Irina Tomova-Erka, who used her own likeness as a model. Each of the seven busts reads, “The first monument of a woman in Sofia.” If that doesn’t hit home, we don’t know what will. The installation comes courtesy of the Bulgarian Helsinki Committee, in conjunction with Fine Acts and Tribal Worldwide Sofia. But it seems the committee’s message was heard loud and clear. The project’s organizers are now working with the city to install permanent female statues by the year 2018, says Mashable. However, the people of Sofia are reacting in different ways. Some residents think the artwork overshadows the city’s monuments. Others are angry about the lack of female heroes. One thing is for sure: Women are surely not getting the representation they deserve.